Dr. Hainer completed his undergraduate studies at the University of Washington. He attended the University of Washington Dental School, graduated in 1986 as an honor student as well as a member of national Dental Honor Society. 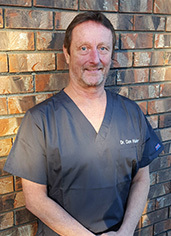 Dr. Hainer has been in private practice in Kent for 27 years and enjoys serving his new and long term patients. He has been married to his wife, Joy, for 29 years. They have three children, Amanda, Michelle, and Bryan. Dr Hainer enjoys skiing, hunting, camping and jeeping with his family and friends. In his free time, Dr. Hainer likes to work on his jeep and loves taking it outdoors. 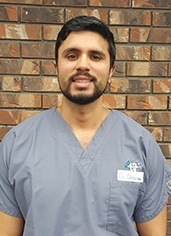 Dr. Dhaliwal attended Auburn High School and Green River Community College. In 2007, he completed his undergraduate degree in Biochemistry at the University of Washington. Continuing his goal to become a dentist, he went to Michigan to further pursue his education. 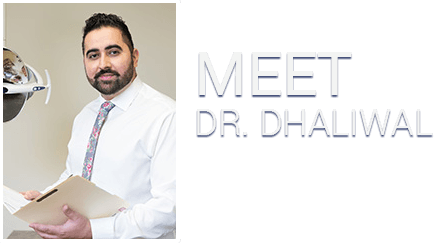 In 2011, Dr. Dhaliwal graduated from University of Detroit Mercy with Doctors in Dental Surgery. During all four years of dental school, Dr. Dhaliwal had the honor to be placed on Dean's list for academic excellence. For over one year, Dr. Dhaliwal practiced in Lansing, MI before returning home. Now he is providing his services in Kent and loves the beautiful northwest. 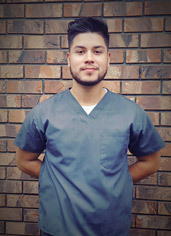 He loves working at Complete Dental Care because he knows that they provide the finest and highest quality dentistry. He thrives on patient interaction and developing long-term patient-doctor relationships so he can provide the ideal care. He takes time to get to know his patients from the very first visit. Dr. Dhaliwal together with his wife are committed to provide complete dental care for their patients. He enjoys traveling and exploring different places around the world with his wife. 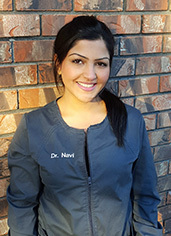 Dr. Navi completed her undergraduate degree in Biology in Simon Fraser University, British Columbia. Following her dream to become a Dentist, she attended University of Detroit Mercy and graduated with Doctors in Dental Surgery. 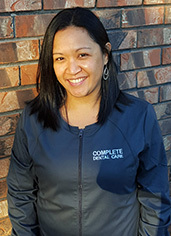 She combines her love of dentistry with a genuine and caring personality that endears her to patients. She takes extra time to get to know her patients and puts them in control of their treatment. 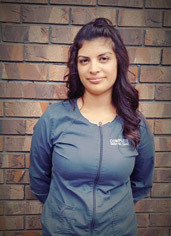 Her favorite part of working at Complete Dental Care is knowing that they can offer the best treatment to everyone. Dr. Navi loves spending quality time with her husband, who is a sole pillar behind her successful career. She completely adores him and enjoys traveling, hiking, and food tasting with him. Dr. Ajaipal Dhanoa ( Dr. AJ) was born and raised in the Seattle area. He is a local of Kent and attended Kentwood High School. 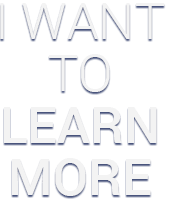 Dr A.J then continued is education at the University of Washington. He completed his undergraduate degree in Biochemistry and continued on to attend the University of Washington School of Dentistry from which he graduated in 2017. 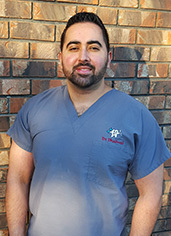 Dr. AJ has a passion for learning and is active in pursuing opportunities to increase his knowledge in all aspects of dentistry from restorative and endodontics to various surgical procedures. He seeks to provide the best overall comprehensive care and is excited to work as a team with the other providers at Complete Dental. 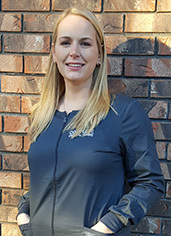 Amanda Boyd is a Registered Dental Hygienist; she graduated June 2015 from Pierce College in Steilacoom WA. Prior to dental hygiene Amanda was a registered dental assistant for 5 five years with a general practice in Lakewood, WA. Amanda has lived in Washington State her entire life. She loves the outdoors and is a huge Seahawks fan. She recently got married this past summer. Her and her husband’s plans include traveling over this next year and hope to start their family next year. Amanda loves working with people. She has a passion for providing her patients with the highest quality of care and educating on oral disease. Judy Reis is the front office coordinator at Compete Dental Care. She began her dental career in 1998 as a dental assistant. She currently does various front office duties such as answer phone calls, schedule appointments, collect payments, present treatment estimates and bill insurance. 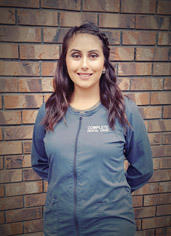 She started working for Dr. Dhaliwal in 2014 and she enjoys working with the doctors. Best part about her job is getting to meet new people. She has enjoyed working in the dental field for the past 16 years. She is married and has a 4 year old son. Every year she loves going home to Hawaii with her son and her husband to spend time with their families. 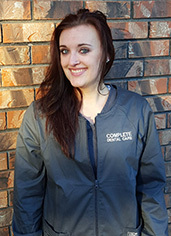 Samantha grew up in Arizona and moved to Washington to pursue a career in Dental Assisting. She graduated from Everest College in 2013. Her favorite part of her job is interacting with patients and providing them with great care. In her spare time, she enjoys spending time with her family and friends. Bianca Ramirez was born in California, but was raised in Mexico and then moved to Seattle in 2001. She graduated from Everest College in June 2011. She has enjoyed working as a dental assistant for 5 years. She loves making patients feel comfortable and enjoys translating for Spanish speaking patients. In her spare time she loves spending time with her husband and 5-year-old daughter. Bernardo was born in Los Angeles but has lived in Washington for most of his life. His interest in dentistry grew as a teenager struggling with braces. He further pursued his interest and graduated from Everest College in 2015 as a dental assistant. His favorite part about his job is providing patients with great care. In his spare time he likes playing soccer with friends and photography. Sara Gonzalez was born and raised in Seattle, Washington. She graduated high school in 2014 and did not hesitate to go back to school. After working in restaurants & retail, she wanted to do something more hands on, therefore, she attended Everest Technical College in 2014 to become a Dental Assistant and graduated in September 2015. She has worked in two different offices since graduation but loves working at Complete Dental Care. Her favorite part of her job is interacting with patients on a daily basis and helping them improve their oral hygiene care. On her days off she spends most of her time with her family, boyfriend, and new puppy Mimosa, outdoors.